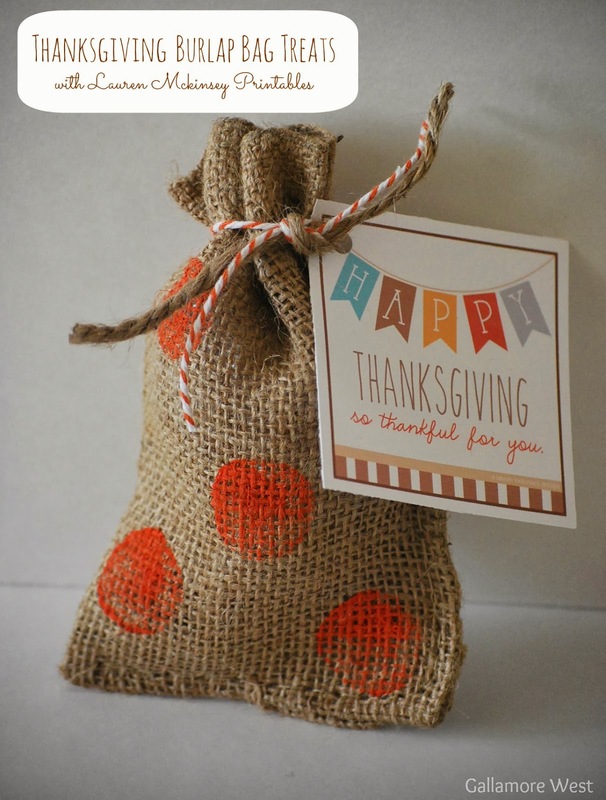 gallamore west: Thanksgiving Burlap Bag Treats! Looking for a sweet, simple and adorable Thanksgiving idea to show someone you're thankful for them? These are the perfect Thanksgiving treat to be used as a small gift for your child's teacher, your friends, neighbors... anyone! I used adorable Classy Thanksgiving printables by Lauren McKinsey for the perfect finishing touch to this little Thanksgiving Burlap Bag Treat. For a short time, you can download the coordinating mason jar tag. Or you can buy the entire set of Classy Thanksgiving printables. Lauren McKinsey printables are my favorite go-to printables because they are affordable, adorable, and they download instantly after you buy them! First, make sure you put a bit of scratch paper inside the burlap bag so the paint from dot brush doesn't go through to the other side of the bag or onto your surface. 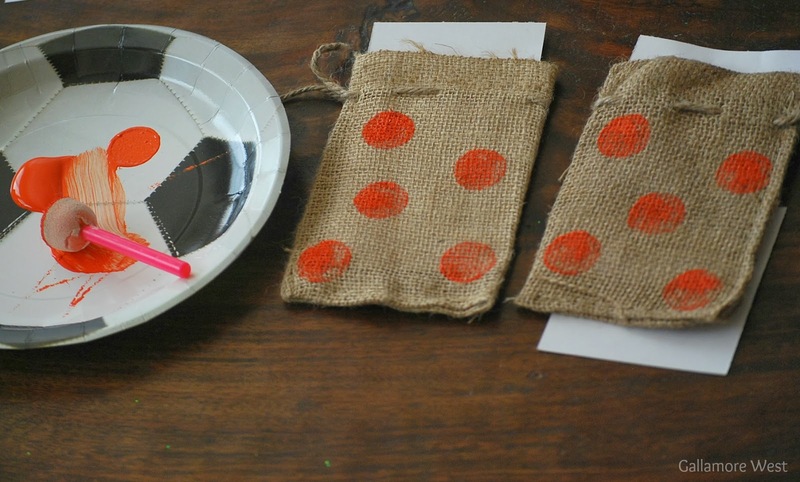 Dot on some polka dots with your paint, and once it's pretty much dry pull out the papers so they don't stick inside the bags. 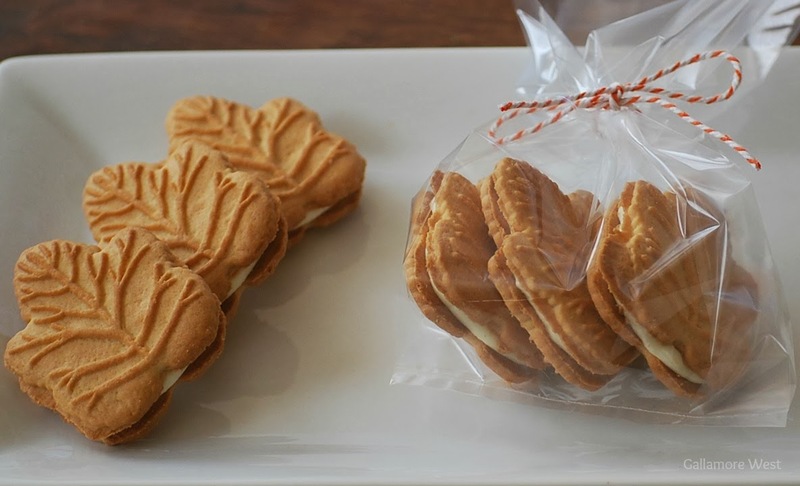 but first I wrapped them in a little cellophane bag tied with baker's twine. 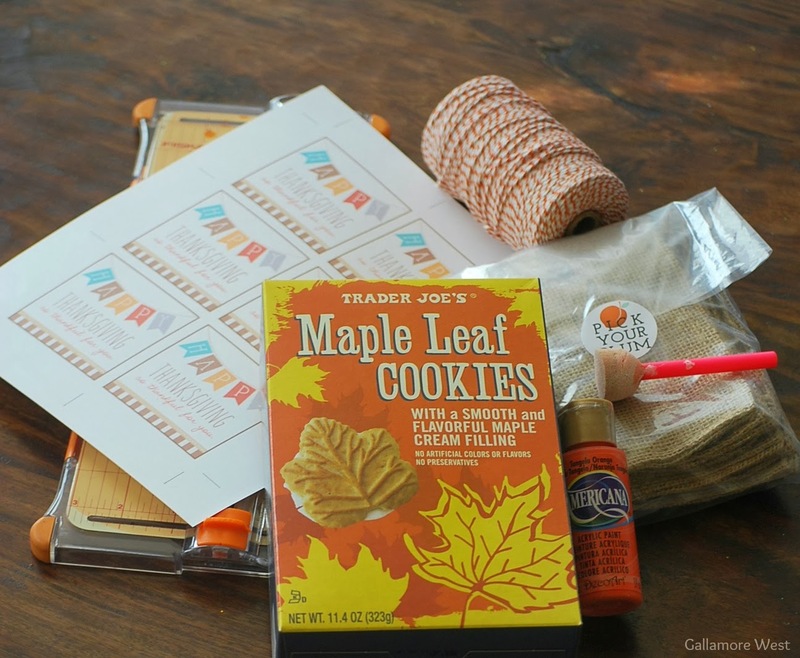 These Trader Joe's Maple Leaf Cookies are the perfect treat because they scream FALL! to me, they are delicious, made with better ingredients than most cookies, and they are so, so cute! p.s. 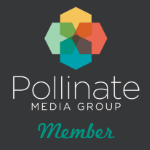 I didn't mean to be away from my blog for a couple of weeks... yikes! Between Team Mom duties for the end of soccer season for 2 of our boys, Room Mom duties for 2 of our boys, a birthday for one of our boys and another one next week... I was drowning and now I'm trying to catch up on life and laundry over here :) But I'll be back soon with some fun Fall Crafts for Kids, Luke's Birthday Party pictures, Soccer Party ideas and MORE... soon!